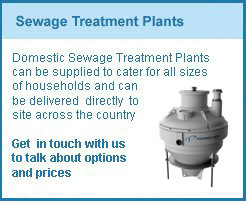 Septic Tanks are available from selfbuild supplies along with cesspools and sewage treatment plants. We only supply premium brand septic tanks so you know the tank will last. With septic tanks ranging from 2800lt for 5 people per day up to 4600lt for 17 people use per day in the onion shape septic tanks. We also supply shallow dig tanks for people who either cannot dig the required depth for an onion shaped tank or require a larger tank as these can range from 2800lt up to a whopping 9150lt shallow dig septic tank for 47 people per day usage. 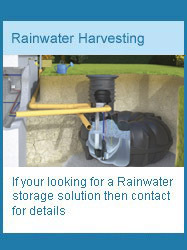 As well as septic tanks we also supply a range of sewage treatment systems. These sewage treatment plants use aerobic biological processes to treat the sewage. When getting consent the tank can be discharged into a watercourse unlike a septic tank which must run into a soakaway system. If you just want to store the waste then we also sell a range of cesspools from 18000li up to as large as 79000lt. 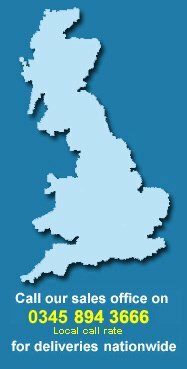 If you would like to find out more about the septic tank range we offer, including the supply of sewage treatments plants please contact our national sales office by phone or e-mail where we will gladly help.